Durango, Colorado, is surrounded by gorgeous lakes, thick forests and breathtaking mountains, making it an ideal place for hiking in summer and skiing in winter. Two nearby national parks are must-see attractions. 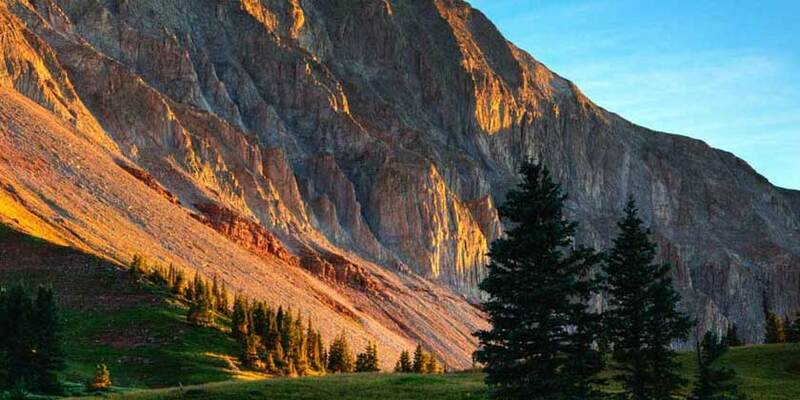 Since 1882, the Durango and Silverton Narrow Gauge Railroad has wound through breathtaking canyons of what is now the San Juan National Forest to the old mining town of Silverton. Even older are the ancient Pueblo cliff dwellings of Mesa Verde National Park, some of the most well-preserved archeological sites in the United States and a UNESCO World Heritage Site.